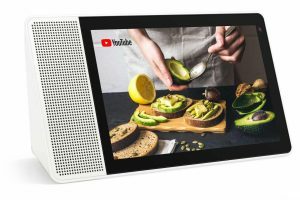 As a member of the Lenovo Insiders, I am often able to check out newly released devices, and sometimes even some experimental devices. I am not paid as part of my membership in the program, but I am sometimes given devices so I can talk about them honestly. 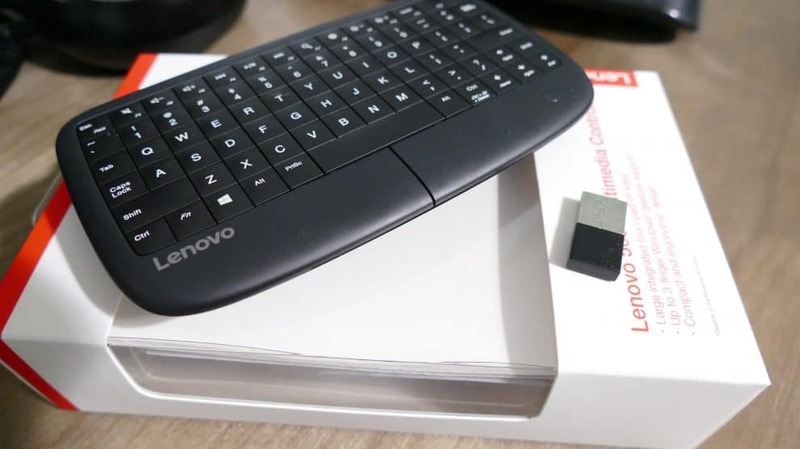 When I got an email about the Lenovo 500 Multimedia Controller, I was super excited to try it out. I knew from having seen it at CES that it was hopefully going to solve one of my big issues. I’m very happy to say that it has, even though it says it is not compatible. My office setup is somewhat unique. I have worked from home for over 10 years, and I love my office. I have 3 monitors on my desk, plus my laptop’s screen. One monitor is typically plugged into an older model desktop I keep around for doing things that can really only be done in Windows 7, or if I need a place to rip DVD’s onto my Plex server, and not have it disturb or interfere with my work on my laptop. I can easily switch this monitor to be a 3rd monitor for my laptop though. The second monitor is a second monitor for my laptop. Honestly, once you start using 2 screens you really just can’t go back to the way it was. The third monitor is plugged into my Samsung DeX. I do feel the need to explain something about this device. When I saw the press conference that announced the Samsung DeX, I clearly didn’t understand what it actually did. I purchased the device thinking that when I would put my Note 8 (or my S8 at the time) in the cradle, it would bring my phone’s screen to my desktop/laptop so I can interact with my phone just like another window on my computer. When I received the DeX, I figured out that what it actually did was plug into a monitor so I can interact with my phone on a larger scale and use the phone more like a computer. I could plug a keyboard and mouse into the DeX and use my phone just like a full laptop. I was disappointed, mainly because I didn’t have an extra monitor laying around, or a keyboard and mouse. After I did some office remodeling last year, I decided to pull my DeX out of its place in the technology heap that lives in my office closet and try it out, now that I did have an extra monitor to use. I loved being able to keep track of my phone while I was sitting at my desk, but responding to text messages and entering anything was a bit of a pain. When the phone is plugged into the DeX it turns itself into a mousepad so you can navigate the interface, but it’s a little clunky and typing was difficult. What I was hoping I could do, is plug the USB dongle for the Lenovo 500 Multimedia Controller into my DeX and use the device to control my interactions on my phone. Although the box says it is only compatible with Windows, it worked right away! The Multimedia controller is extremely unique. The surface of the keyboard has the ability to act as a touchpad. This allows the device to be extremely compact yet still allow the functionality of a full keyboard + touchpad. Not only is it the perfect solution for my Samsung DeX setup, but it is also a great solution for a dedicated media server in your home. 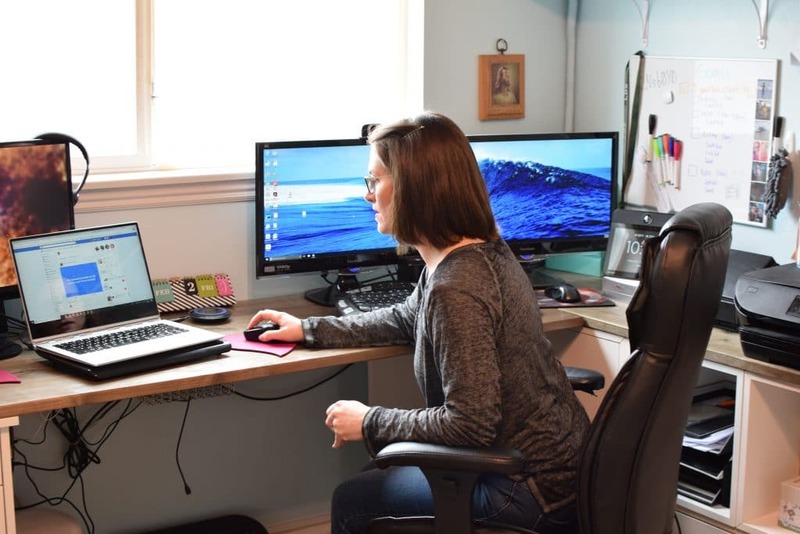 When you are sitting on your couch and you pull up your Windows Media Server, you don’t want to pull out a full keyboard and mouse to navigate your digital media. With the Lenovo 500 Multimedia Controller, you can easily search for the movies you want to watch or find the right album to start playing since it has the keyboard and touchpad integrated into one device. For now, I’m keeping it attached to my Samsung DeX to control my Note 8. I love that I can use the Lenovo device in collaboration with my Samsung devices, even though they are competitors. Because Different Collabs Better!